ABIDJAN, Mar 19 2014 (IPS) - In West Africa, the Malian and Ivorian political crises have resulted in the biggest number of refugees in the region. But brewing insecurity could mean that they will be unable to return home any time soon as armed groups remain a threat to West Africa. In Nigeria, Islamist groups have targeted civilians, and are now hiding in neighbouring Niger and Cameroon. In Mali, even though the United Nations mission is providing military support, the Movement for Unity Jihad in West Africa (MUJWA) Islamists remain a threat and there have been a number of bomb explosions. Côte d’Ivoire too has faced insecurity. While the country recovers from its post-electoral crisis that resulted in over 3,000 deaths between 2010 to 2011, refugees are slow to return from Ghana, Togo and Liberia. There are now 93,738 refugees, mostly in Liberia, Togo and Ghana, and 24,000 Ivorian internally displaced persons (IDPs), according to the U.N. Refugee Agency (UNHCR). But the situation in the west of the country, in Bas-Sassandra, where most of the killings were perpetrated during the post-election crisis, remains fragile with the resumption of attacks during the last few weeks. Ilmari Käihkö is a PhD student at the department for Peace and Conflict Research at Uppsala University, Sweden, who has conducted extensive field studies in eastern Liberia and investigated the Ivorian refugee areas there. He said that Ivorian refugees were waiting for the results of the 2015 presidential elections before deciding whether to return home. “Refugees believe that [current President Allassane ] Ouattara will lose. There might be a negative reaction if he wins,” he told IPS. Côte d’Ivoire’s government has made a special effort to encourage the return of its refugees. It has sent several envoys to refugee communities to share the word that they will be welcomed when they return home. This policy is working in part as several notorious supporters of former Ivorian President Laurent Gbagbo have come back to Côte d’Ivoire, including former Abidjan Port Authority director Marcel Gossio and over 1,300 ex-combatants. Gbagbo, who is awaiting trial before the International Criminal Court, is accused of crimes against humanity for his alleged role in the 2010 to 2011 post-electoral crisis. For Käihkö, the situation remains tense and the potential for more violence remains high as there are also land ownership issues in western Côte d’Ivoire that need to be addressed to ensure the safe return of the refugees. The Ivorian refugees in Liberia are mostly from western Côte d’Ivoire, where some of the world’s biggest cacao producers originate. However, many have lived on the land without title deeds, adhering to the policy of “the land belongs to who takes care of it”. This has resulted in a conflict of ownership of land between the native Guérés and settlers to western Côte d’Ivoire. According to Käihkö, the issues concerning land ownership are a key reason why many Ivorian refugees choose to remain in Liberia — many feel they don’t have anything to return to. Nigeria too faces ongoing insecurity. Already, violent attacks perpetrated by the Islamist militant group Boko Haram in northern Nigeria have forced 1,500 persons to flee in southern Niger’s Diffa Region and more than 4,000 to Cameroon over the last few months. Boko Haram has targeted schools, hospitals and other institutions perceived as being from the West. And, as the number of refugees and IDPs increases, operations to provide aid for these people have been restricted because of security fears. And it’s not just in Nigeria that the security situation has complicated humanitarian operations. Across the region, aid workers have been abducted and attacked, and expat workers are becoming targets. On Feb. 8, an International Red Cross Committee convoy was attacked and five Malian employees were kidnapped by MUJWA. As humanitarian agencies become targets they are increasingly forced to spend money on security for their staff that ideally should go to those in need. 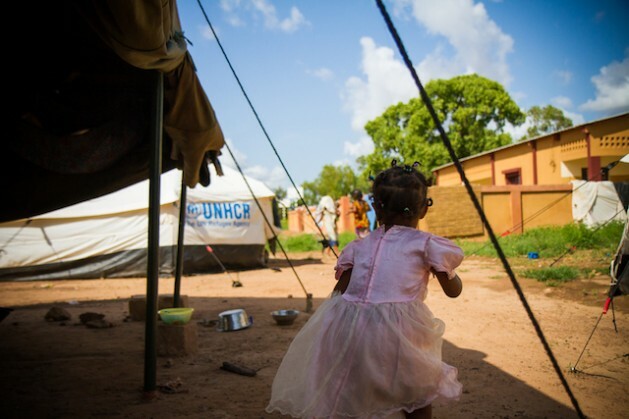 “We have to have military escorts in this region to protect the mission from possible kidnappings,” Mohamed Bah, information officer at the Burkina Faso’s UNHCR office, told IPS. This complicates both aid operations and repatriation. “This insecurity limits access to repatriate in Mali. We need MINUSMA [U.N. Multidimensional Integrated Stabilisation Mission in Mali] support to go meet the repatriates. 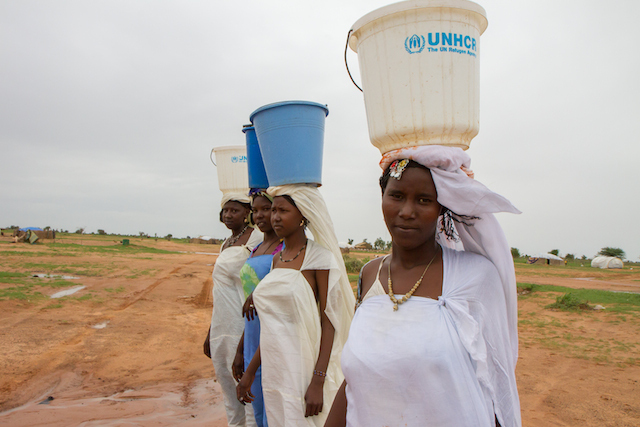 Several NGOs have limited their presence in return areas,” Olivier Beer, from the UNHCR’s Mali office, told IPS. In December 2012, few weeks before French forces started to bomb Islamist targets, there were as many as 500,000 Malian refugees and IDPs. Now, as the stabilisation effort continues with MINUSMA slowly taking over military operations, numbers have reduced to 167,000 refugees in isolated camps in neighbouring Burkina Faso, Niger, Algeria and Mauritania. Within the country there are about 200,000 IDPs. The UNHCR does not recommend a homecoming yet. “For an organised UNHCR-backed return, there are some protection criterions that need to be met to ensure safety and dignity,” Beer said. A lack of housing and schooling, insecurity and no access to justice have all contributed to the delay in repatriating refugees. However, it may take longer for the refugees to return home, even if the security issues are resolved. Several U.N. agencies and NGOs have warned that West Africa faces a grave food crisis. More than 800,000 Malians, according to British NGO Oxfam International, currently need food assistance, and numbers are likely to reach even more critical proportions when food reserves will be empty when the lean season will start in mid-May. Côte d’Ivoire refugees will also face a challenge. UNHCR Liberia bureau chief Khassim Diagne stated that if their food supply was not increased within two months more than 52,000 Ivorian refugees in Liberia would starve.